The Ryan ST is 1.6 MB. Larger files take longer to load. 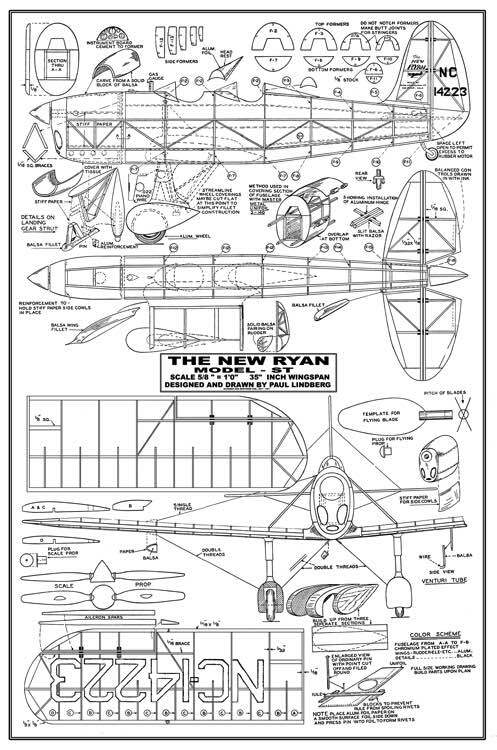 The Ryan ST were a line of low-wing sport and trainer aircraft, single or dual seat, produced by the Ryan Aeronautical Company starting in the mid 1930s. The full-scale aircraft were quite popular by civilian and military training schools and saw service for several countries besides the United States. This model is an 18" span rubber-powered free flight designed by Paul Lindberg. 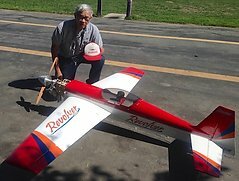 At this size, the model could be readily adapted for radio control of ailerons, elevator, rudder, and motor, using lightweight r/c equipment. If you need to resize a plan please contact us with the ID:90531 and the desired wingspan. I will calculate a price upon request, please contact me here mentioning this PlanID: 90531 and the job you wish me to do. This plan is 1.6 MB and was shared by our member aeroastro on 24/05/2015 10:12 in the PDF Bitmap Wood Model Airplane Plans (2) category. It has been downloaded 285 times.